Nick Cave and Warren Ellis’ film scores are instantly recognisable for their minimal and hauntingly beautiful tones. Full of light and shade, creeping dread and inconsolable yearning, the heavily instrumental sounds inject humanity into the ghostly frontier towns, parched desert landscapes, post-apocalyptic war zones and extra-terrestrial vistas of their renowned films. As part of the Melbourne International Film Festival, Cave and Ellis join the MSO for the first time to perform a selection of suites in full symphonic sound. Suites and selections from The Proposition, The Road, Hell or High Water, The Assassination of Jesse James by the Coward Robert Ford, West of Memphis and Wind River. 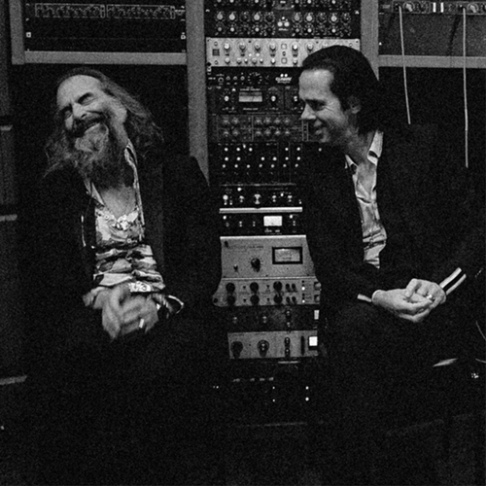 The past 15 years has seen Nick Cave and Warren Ellis compose for both indie films and Hollywood features. Their first commissioned soundtrack, the brutal outback western The Proposition (2005) directed by John Hillcoat and scripted by Cave himself, introduced the widescreen compositions that would become their signature for future films. Presented in collaboration with MIFF as part of the 68th Melbourne International Film Festival. *Advertised ticket price excludes booking fee.